Meet at camp, get married? Eighteen-year-old Bernie Kozlovsky spent from sundown to sunrise on a boat with 16-year-old Sonia Rosenbaum in the summer of 1972. “We talked until dawn,” Kozlovsky recalls about that summer at the Orthodox Jewish NCSY overnight camp in northeastern Maryland. Kozlovsky worked in the camp kitchen. Rosenbaum was a camper. From that summer forward, neither dated another individual. Forty-three years later – including 39 years of marriage, six children and seven grandchildren – Kozlovsky attributes his successful relationship to the spark that formed during his summertime experience. Today, the (camp) fire is still burning at Jewish summer camp. Dating and marriage are byproducts of summers spent banging on the table during Birkat Hamazon (Grace after Meals), engaging in loud and intense games of color war, and celebrating Jewish culture with Hebrew plays and folk-music campfire sing-alongs. 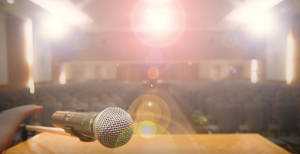 No one is pushed to date at Jewish summer camp, said Lauren Ben-Shoshan, who met her Israeli husband, Alon, as a counselor at URJ (Union for Reform Judaism) Camp Harlam in Kunkletown, Penn., in 2004. The couple now lives in Israel. “Camp is a positive place for Jewish learning, physical activity and connecting with the outdoors. No one wants campers to feel bad because they didn’t find their spouse when they were 15, 19 or 22. But there is a covert understanding that [marriage is] a nice byproduct of Jewish summer camp, when it happens,” said Ben-Shoshan, who is also a Jewish educator. It occurs more often than many realize. According to Camp Works, a report released in 2012 by Foundation for Jewish Camp, Jewish adults who attend Jewish overnight camp are on average 10% more likely to marry within the Jewish faith than their peers. The 2000-01 National Jewish Population Study found that number to be higher, with 78% of individuals who attended Jewish summer camp in-married, as opposed to 62% of their non-camper peers. 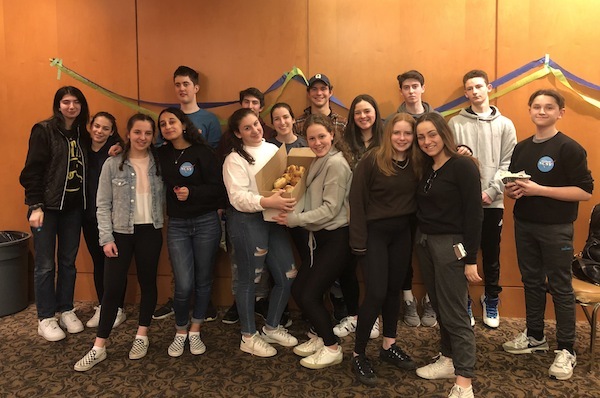 Jewish summer camp focuses heavily on community-building, noted Aaron Bogage, who attended the BBYO International Leadership Training Conference for several summers and now works at the overnight BBYO Chapter LTC. He said there are always “quite a few couples per session,” explaining that these relationships form because everyone is “extremely open” with each other and open to meeting new people. “Everyone is genuinely excited to get to know the rest of the teens.… There is a sense of community that comes from camp,” he said. Jen Silber, executive director of Habonim Dror Camp Moshava in Street, Md., said there is a focus at camp on building healthy peer relationships. “We want [campers] to learn about communication, how to express their needs in relationships, feel confident being themselves and develop trust,” she said. Silber, who met her own husband as a camper and then staffer at Moshava, argues that friendships and romantic relationships that people form at summer camp tend to be “deeper” and more authentic than those forged at school or in other environments. Campers and counselors feel accepted for who they are, she said. Maayan Jaffe is former editor-in-chief of the Baltimore Jewish Times and a Kansas-based freelance writer. Reach her at [email protected] or follow her on Twitter, @MaayanJaffe.